The Black & Whites Society is for members of THBC who rowed for four terms or more. 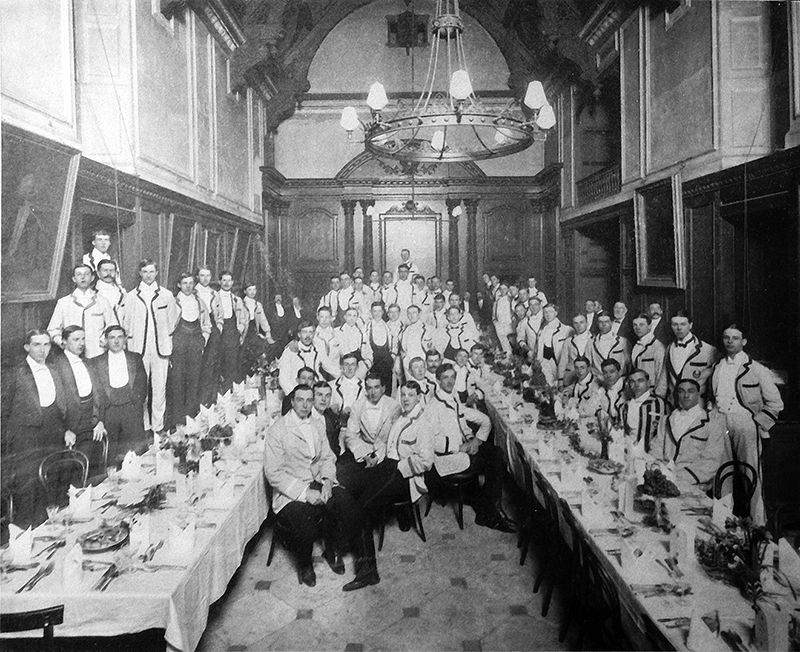 The Society also holds dinners in College. To ensure you are on the mailing lists contact the Black and Whites secretary. Originally, the plan was for the annual B&W dinner to alternate between London and Cambridge. However, due to other college events, it is not able to be held in Cambridge next year. Instead, we are planning to organise a spot along the Thames to watch the Cambridge and Oxford Boat races, followed by a meal on the evening of Saturday 24th March, 2018. Details will be sent out nearer the time. THBC are always keen for alumni to help coach the current crews. If you are interested in coaching, pleae get in touch with the captain.